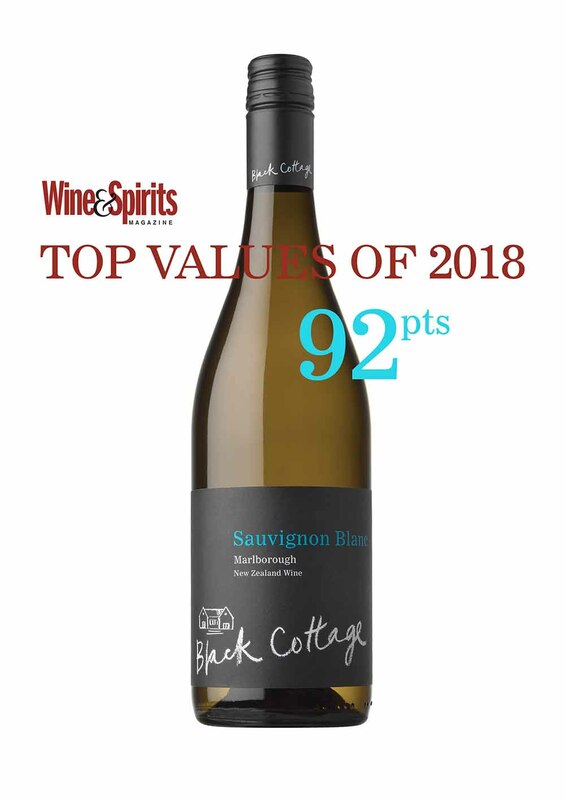 A top USA wine publication, Wine and Spirits Magazine, has just listed Black Cottage Sauvignon Blanc 2017 in their TOP 100 VALUE WINES of 2018 and awarded the wine an amazing 92 points. up front and mellow in its finish. Notes of quinine, lime and parsley add breadth. 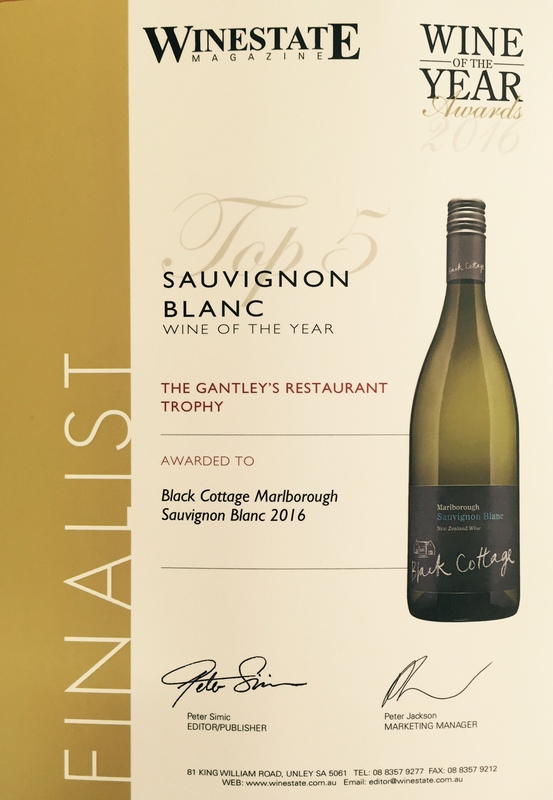 Black Cottage Sauvignon Blanc 2016 is awarded Top 5 Finalist in Winestate Magazine. Winestate Magazine has just published their Wine of Year Special Edition 2016. And Black Cottage Sauvignon Blanc 2016 is a TOP 5 FINALIST in the Sauvignon Blanc category! 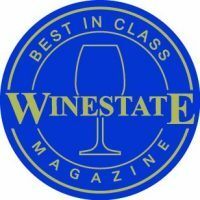 Winestate is Australia’s leading independent wine magazine and the country’s oldest wine publication. Moreover each year Winestate publishes their top scoring wines of the year. As a result these top scoring wines go head to head in the competition. Harvested at optimum ripeness from hand tended vineyards in Marlborough, the grapes for Black Cottage Sauvignon Blanc 2016 were gently pressed. Furthermore the juice was fermented at cool temperatures in stainless steel to maximise fruit purity and varietal character. The wine has a pungent nose full of guava, white currant, wet stone, Kaffir lime leaf and gooseberry. The lively palate shows mouthwatering acidity and is packed full of grapefruit pith, honey dew melon and a touch of crushed herbs. 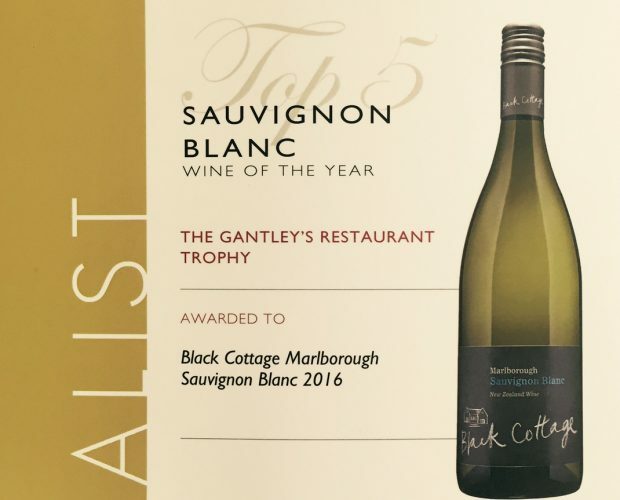 Black Cottage Sauvignon Blanc 2016 wins GOLD at the New World Wine Awards. Black Cottage Sauvignon Blanc 2016 has just won a gold medal at the 2016 New World Wine Awards. 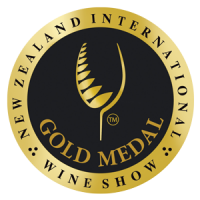 “There were a record number of entries in this year’s show.” notes Winemaker Dave Clouston, “1,319 wines were judged from 159 wineries, so it is a particularly satisfying result for us and we are thrilled”. Wine critic Sam Kim rates the wine 93 points, 5 stars and describes it as “Impressively aromatic on the nose displaying passionfruit, nectarine, lime zest and sweet basil characters.” While renowned wine reviewer Raymond Chan comments “The wine has good linearity and fine-textures that carry to a fresh, zesty finish of gooseberries, passionfruit and minerals.” If you like Marlborough Sauvignon Blanc, you are going to love the Black Cottage! 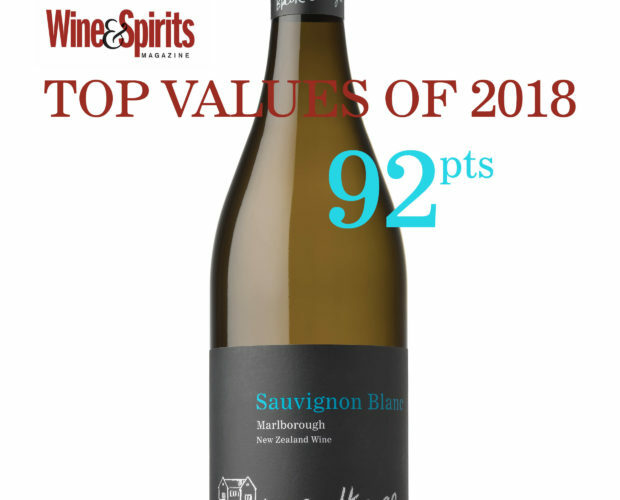 2016 Black Cottage Sauvignon Blanc – Gold, New World Wine Awards. 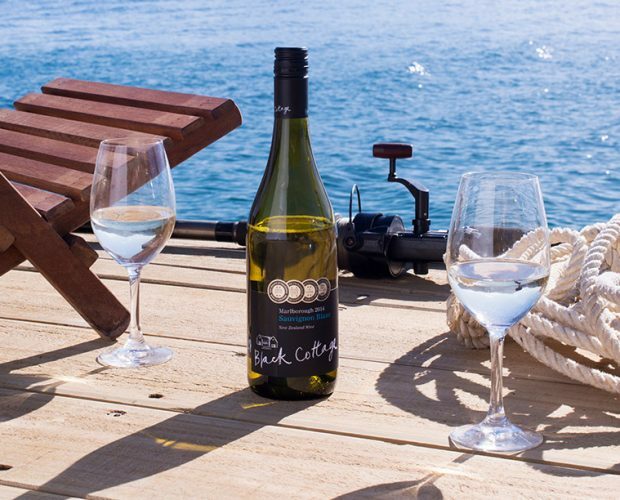 2015 Black Cottage Sauvignon Blanc – Gold, International Aromatic Wine Competition. 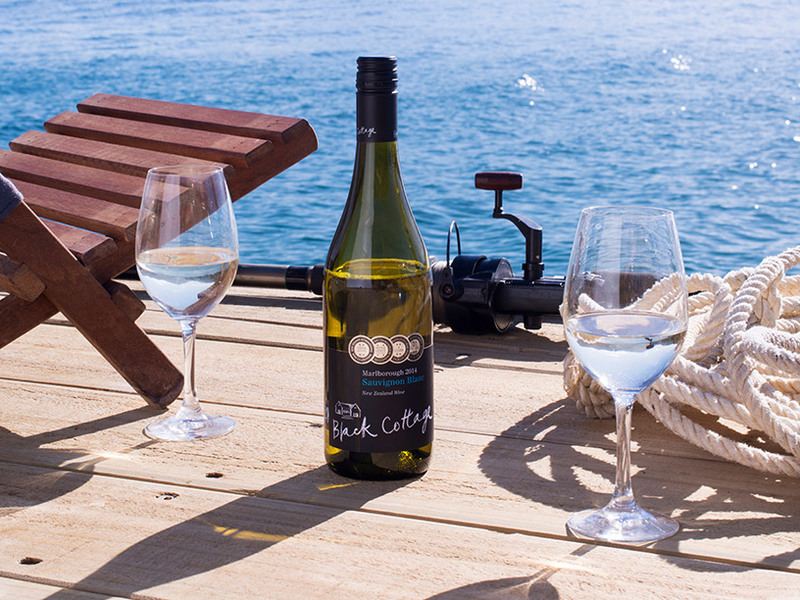 2014 Black Cottage Sauvignon Blanc – Blue Gold, Sydney International Wine Competition.